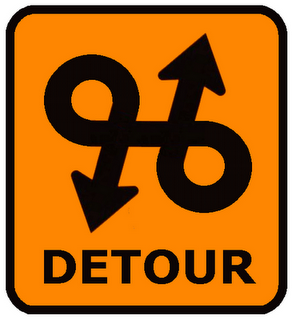 Detours? Just another way to get to your destination. By nature, detours are unavoidable twists in the road, and whether you’re querying, out on sub, or working on a WIP, detours may lead to a better destination than the one you originally envisioned. Truth is, the only thing in a writer’s control is the writing. And the only way to survive the road to publication is to keep the writing front and center. There will be plenty of detours along the way for most of us, which will keep the journey interesting. Just be sure to hold onto the writing — your love of words and stories — above all else.